I am emotionally involved with Leben. Although I have never met its owner and founder, Mr. Taku Hyodo, on some level I feel I am a kind of his “follower”. For years, I have been using his devices, first the CS300 amplifier, then the CS300X, followed by the custom CS300X specially modified for me, which bears his dedication on the back. These are actually not the only Leben components I used, because for a long time the basis of my system had been the RS28CX preamplifier, very warmly remembered by me. As a matter of fact, I have never seen a Leben product that I would not like or would not understand. Naturally, I have my favorites, with my CS300X [Custom Version] leading the pack, however, the CS600P and the CS1000P power amplifiers were so interesting that were it not for space constraints, I would have bought one of them for myself. Leben is a small company. New products from that manufacturer appear relatively rare. 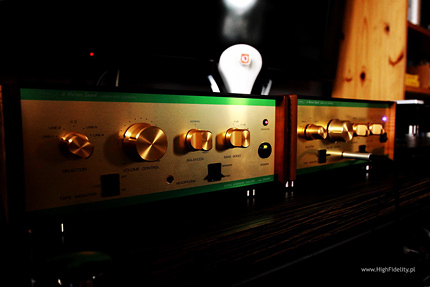 The last to have reached us was the CS1000P power amplifier. Until now, that is. Behold, Mr. Hyodo decided to replace his biggest hit so far – the CS300XS, introducing in its place the CS300F. From the outside, it is hardly different from its predecessor: it is still a small device, measuring 360 x 270 x 140 mm and weighing just over 10 kg, with a small power pentode based push-pull output stage. 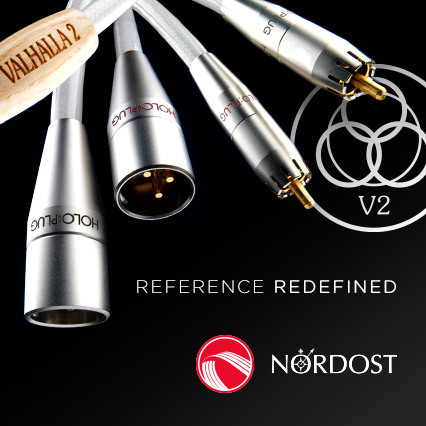 However, while previously they were EL84 (Mullard [Version X] or Sovtek [Version XS]), now they are replaced by long-life General Electric JAN-6197 (6CL6), with low microphonics and very low distortion, designed primarily for use in computers. These particular models were manufactured for the U.S. Army (JAN = Joint Army Navy U.S.). It is a power pentode with 9-pin octal base. In a push-pull class AB, the tubes push 15 watts at 0.7% distortion. Input tubes are also different: in place of NOS General Electric 5751, Leben now employs no less unique 17EW8 (HCC85 equivalent) dual triodes from Hi-Fi, a Japanese company. Therefore, it seems true what we read on the Polish distributor website, that it's really a completely different device, sharing with its predecessor only the general idea and the enclosure. Since I use the CS300X [Custom Version] every day, the most important comparison concerned that model. An obvious problem at the outset is that my custom version is completely different from the stock model. It has been specially designed for the 6R-P15 pentodes from Toshiba, which results in the output power of about 8 W (the "regular" version is rated at 15 W), and it features different coupling capacitors (the V-Cap CuTF); its feet were changed for the CeraBall from Finite Elemente and its fuse for one from Create Audio (see HERE). Finally, Mr. Eugeniusz Czyżewski, owner of Linear Audio Research, made a modification improving the symmetry of the output stage (see HERE). In order to remain “on the ground”, I briefly borrowed a classic version of the CS300XS. The test involved listening both with speakers and headphones. As we know, integrated amplifiers from Leben are also excellent headphone amplifiers; actually, in my system I use it mainly in this way. For testing purposes I used the following headphones: Sennheiser HD800, AKG K701, Beyerdynamic DT990 Pro (600 Ω, vintage), DT770 Pro Limited Edition 32 Ω, HiFiMAN HE-500 and HE-300. Description of most of them can be found on “High Fidelity” pages (in the archive section). The amplifier sat on the Base rack, without extra feet or spacers, and was powered by the Tunami Oyaide GPX-R power cord (see HERE), from a dedicated mains outlet and the Oyaide MTS-4e power strip. The testing had a character of an A / B comparison, with the A and B known, using 2 minutes long music samples. In addition to the Leben CS300X [Custom Version], the reviewed amplifier was also compared against the reference two-piece amplifier – the Ayon Audio Polaris III [Custom Version] preamp and the Soulution 710 power amp, as well as the Ayre AX-5 integrated amplifier. For comparison in the headphone amp mode I used my Leben, the Phasemation EPA-007 and the HPA-21 headphone amplifier from Bakoon Products, which review will be soon published. Bach, Golberg Variations, piano: Glen Gould, CBS/Sony Classical/Sony Music Entertainment Hong Kong, 440092, “The Glenn Gould Edition, No. 0197”, gold-CD (1982/2013). Bach, Violin Concertos, Yehudi Menuhin, EMI/Hi-Q Records, HIQXRCD9, XRCD24, CD (1960/2013). Dead Can Dance, Toward The Within, 4AD/Beggars Japan, WPCB-10077, „Audiophile Edition”, SACD/CD (1994/2008). Depeche Mode, Home, Mute Records, LCDBong27, maxi-SP CD (1997). Diary of Dreams, The Anatomy of Silence, Accession Records, A 132, CD (2012). Eddie Costa Quintet, Eddie Costa/5, Mode Records/Muzak, MZCS-1132, “Mode Paper Sleeve Collection vol. 3”, CD (1957/2007). Frank Sinatra, Where Are You?, Capitol Records/EMI Records, 4969932, “Sinatra. The Capitol Years [Box]”, CD (1957/2008). Frank Sinatra, Where Are You?, Capitol Records/Mobile Fidelity, UDSACD 2109, “Special Limited Edition No. 261”, SACD/CD (1957/2013). John and Vangelis, The Friends of Mr Cairo, Polydor/Universal Music Japan, UICY-9376, “Rock Legends Series. Limited Edition Paper Sleeve”, CD (2003). Led Zeppelin, Celebration Day, Swan Song/Atlantic/Warner Music, 79688-1, 2 x CD + Blu-Ray + DVD (1981/2012). Michael Jackson, Thriller. 25th Anniversary Edition, Epic/Sony Music Japan, EICP-963-4, CD+DVD (1982/2008). Milt Jackson Quartet, Statements, Impulse!/Universal Music (Japan), UCCI-9088, “More Best 50”, No 38”, CD (1961/2001). Pat Metheny Group, Offramp, ECM/Universal Music K.K., UCCU-9543, “Jazz The Best No. 43”, gold-CD (1982/2004). Pinky Winters, Pinky, Vantage/Sinatra Society of Japan, XQAM-1044, CD (1954/2010). Porcupine Tree, Deadwing, Lava, 93437, CD (2005). Sarah Vaughan, After Hours, SME Records/Sony Music Entertainment (Japan), SRCS-9515, “Master Sound”, CD (1955/1998). Wilki, Wilki, MJM Music PL, MJM5236D, „specjalna, dwupłytowa edycja”, 2 x CD (1992/2012). Monteverdi, Quinto Libro De Madrigali, Concerto Italiano, Rinaldo Alessandrini, Opus 111, CD (2000). Auditioning products from manufacturers that are particularly close to our heart is marked by certain ambiguity. On the one hand, it is savoring the familiar company ethos, its visual design, sound, and the joy of seeing the next product bearing the logo we care about – all that confirming our earlier choice. However, there is also anxiety, inner trembling, a not fully articulated question about what is left of the glory and honor remembered by us – and that introduces into our joy an element of uncertainty or fear. Surely, not everyone reacts so emotionally to audio devices, certainly not to all of them. In the case of Leben and me, it is exactly like that. The news about a new version being designed, the fourth already, of the CS300 amplifier (the former line-up: CS300, CS300XS and CS300S, not counting the limited edition CS300XS [Custom Version] made especially for me), for the first time, however, differing from the predecessors by type of the employed tubes, not their manufacturer. And that means a completely new circuit design and a great unknown concerning the sound. Even though the external differences between the earlier versions and the F are minimal. Straight up, I can say that the CS300F does not disappoint but brings no surprises, either. It does not disappoint, because it's the sound of the same class as the CS300XS, with somewhat differently placed accents and a slightly different expression. It brings no surprises, because despite fear that is what I expected: refined sound. .
One enters the world proposed by Mr. Hyodo gradually. We do not jump straight into the deep end, or get immersed right to the top of our head, or go mad. The closest term to describe what happens to us is "to get soaked in". I think that is, first of all, because the sound of this device seems slightly dark. There is no cascade of sounds and super-selectivity. We get “connective tissue” between the speakers, a saturated sound of which we need to "fish out" the details. Upper treble is realized in such a way that although on the type of recordings like Billy Jean by Michael Jackson, Useless by Depeche Mode from their maxi-single by the same title, or Arriving Somewhere by Porcupine Tree the cymbals were clear and had a proper attack, it was their slight rounding, somewhere at the edge of perception, that gave them greater vividness and protected them from being garish or aggressive. Such problems, resulting in the music losing its meaning and becoming just a collection of sounds, will never occur with the Leben. Although treble is not particularly emphasized, we will not perceive that as a "loss". This is characteristic of the best audio devices in which their designer tries to model the sound in such a way as to exploit their full potential, to implement his vision of the sound, masking the most common problems of recordings. Especially in this regard I listened to a lot of CDs with vocals in the lead role, and one thing we will never say about the CS300F is to call it "problematic". In any sense of the word. This is not a "simple" sound, as we are talking about a refined piece of equipment and a clear designer’s vision of the world. This is an amplifier that tries to protect the listener from the recordings’ elements we usually call "garbage", but at the same time does not force it, nor does it primitivize the presentation, bringing it to a common denominator. One of the main features of the Japanese amplifier is its excellent resolution and, hence, its ability to differentiate. Both have their limitations. But they also take precedence over everything else; even when we get the amplifier to the point of “giving up”, it doesn’t do it abruptly and get unpleasant. We “accompany” it in this problem, as if it was someone close to us – such is the power of persuasion of its designer’s idea. What is more important, however, is its ability to move freely in the musical material, from which it tries to bring out the best. Even from the records we give up on at the outset due to our prejudices. That is how I, initially, assumed the "inferiority" of the 1998 edition of Frank Sinatra’s Where Are You from the Capitol Years box set, and the "superiority" of its recent re-edition from Mobile Fidelity. The comparison was not entirely valid, because the older edition is stereo (it was the first Sinatra’s solo album in stereo), and the new version is mono. However, on the former the first track I Cover The Waterfront is a mono recording (an exception). What did I hear? Both sounded very good. The Mobile sounds clearer and more coherent, with a slightly better resolution. The 1998 digital remaster, on the other hand, has a nicely drawn "body" of the singer who is shown more in the front. Which version is better, which is the right one? Each of them has something valuable, but they both sound worse than the vinyl edition from Mobile Fidelity. The point is, however, that Leben allowed a relatively free migration between them; after several changes their individual sonic characters were clear, yet it did not let either sound bad or even significantly worse than the other. As if it brought out the best of them. 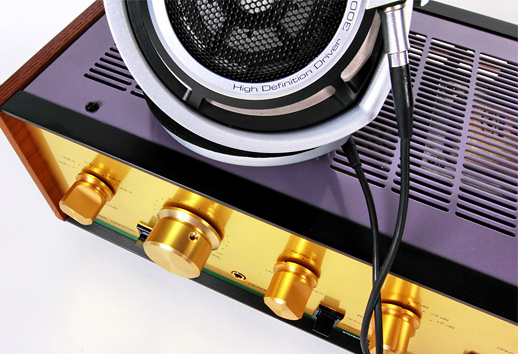 The amplifier offers a strong, low bass and a very nice dynamics. Its moderate output power does not even hint at what can be heard from such large speakers, as the Harbeth M40.1. In fact, its momentum, vividness, strong bass that is not loose closely reminded me what I heard from the Ayre AX-5 amplifier, despite the fact that American integrated is a thoroughbred, powerful, solid state design. 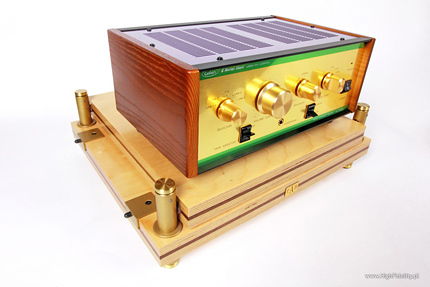 The tiny Leben can produce a similar volume of strong, saturated, focused sound as a large solid state amplifier. At a short listening distance, of course. Electronic music, here mainly Depeche Mode, also sounded great. There was groove, oomph and superbly-controlled highs. I’ve already mentioned the latter, but each time I’d make the same observation: excellent vividness and balanced color.